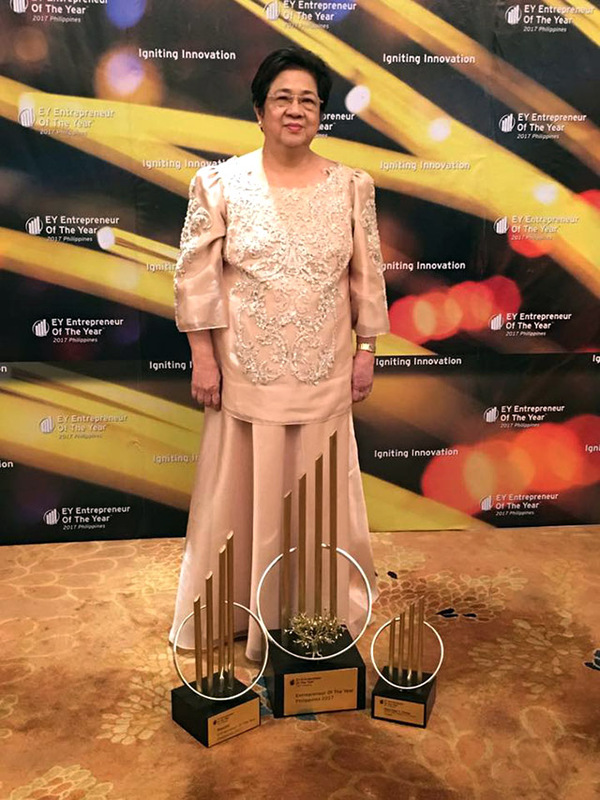 Ernst and Young, a global multinational services company, through SGV Foundation Inc., named Natividad “Naty” Cheng as the Entrepreneur of the Year Philippines for 2017. Cheng is the co-founder, chairman and CEO of Multiflex RNC Philippines, Inc., the company behind Uratex Group of Companies, the country’s leading provider and manufacturer of foams and mattresses. She will represent the country at the World Entrepreneur of the Year Awards in Monte Carlo, Monaco in June 2018. 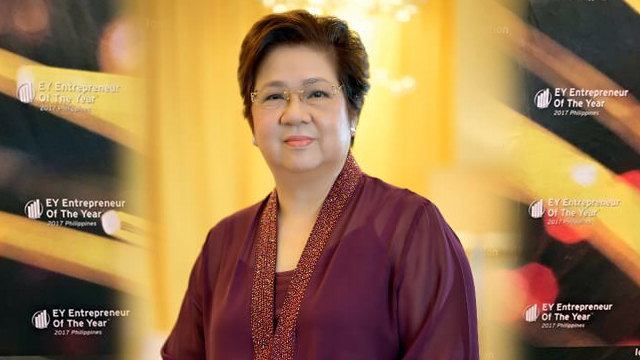 From a capital of Php4,000 in 1968, Cheng was able to grow her company into a big corporation, with reported a net income of Php70 million in 2015. Here’s how Cheng did it. Before setting what today is Uratex, Cheng used to toil in a low-paying factory job. “Galing sa mahirap na pamilya, natutulog kami ng walo kong kapatid sa isang kwarto na parang sardinas (Coming from a poor family, my eight siblings and I used to sleep in one room, crammed together like a can of sardines),” Cheng recalled in an audio-visual presentation shown during the awards banquet for this year’s Entrepreneur of the Year Philippines last October 18 at the Makati Shangri-La. Instead of letting this discourage her, Cheng used this experience to motivate herself to work harder so that her family will never have to go through that kind of situation again. “Noong una kaming nagnegosyo, puro mababang quality foam ang nasa market (When we started there were only low quality foams available),” Cheng shared. But instead of conforming, Cheng and her husband Robert saw the potential in producing quality foams and started putting them out in the market, despite the higher production costs. “Nasiyahan ang mga customer. Sulit daw (The customers were happy. They said it was worth it),” Cheng said. As they saw more and more people patronizing their products, it became their vision to provide Filipinos more quality foams and mattresses. In 1970, two years after putting up the company, a fire razed their first manufacturing plant. This severely affected the Chengs’ financial position. Cheng said they used all their insurance money to pay their suppliers. “Pero kulang pa. Pati wedding ring ko naisangla pa (But it still wasn’t enough. I even had to pawn my wedding ring),” she added. Such a catastrophe could have ended the business, but Cheng was determined to rise from the ashes. She managed to secure loans from suppliers at lower terms and made sure to pay back as soon as possible. Being in the industry for 49 years can be difficult, especially when newer and more modern players enter the field. For Cheng, one way to maintain their strong presence is to continue providing quality products that they have always been known for, and to keep on improving their systems to be on track with the latest trends. Apart from actively traveling overseas, Cheng revealed they also hired a consultant and a research and development team that keep them updated with the latest technology available in the market. “Taun-taon, may improvements sa sistema, sa produkto namin. Lagi kaming open sa pagbabago (We implement improvements in our system and products every year. We are always open to change),” she said. As Uratex grew bigger throughout the years, Cheng never failed to look back. She always credits her employees, dealers, suppliers and customers for the company’s success, saying that without them the company would be nothing. Apart from this, Cheng also makes sure to help other people outside the company’s corporate reach. “Hindi namin malilimutan na galing kami sa hirap kaya gusto rin namin makatulong sa iba through our foundation (We will never forget that we came from humble origins, that’s why we want to help through our foundation),” Cheng said. The company foundation helps people in need through scholarships, housing and calamity relief. From being a factory worker to a million-peso business owner, Cheng definitely has the story that can inspire aspiring entrepreneurs. Her advice? Sipag at tiyaga (hard work and perseverance) is not enough. “Mahirap talagang magpalaki ng negosyo. Hindi pwede ang easy money. Kailangan natin ng long-term na pag-iisip (It’s really hard to grow a business. It’s not about easy money. You have to set your mindset for long-term. ),” she added.